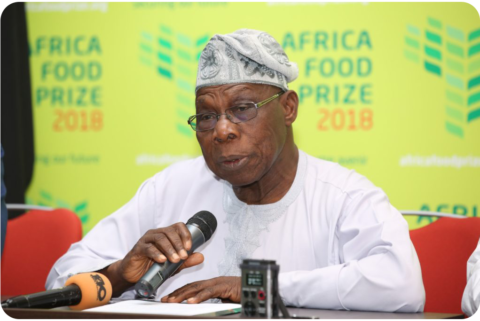 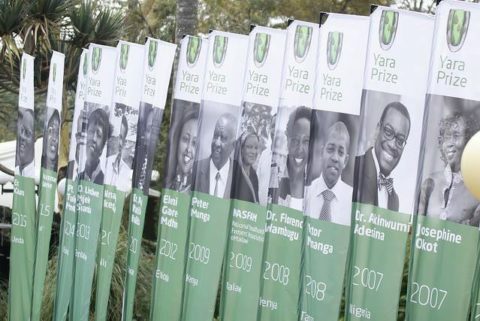 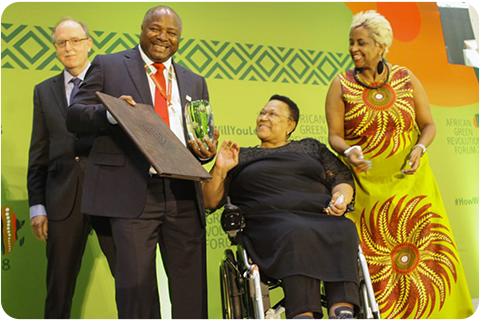 The Africa Food Prize trophy is inherited from the Yara Prize which was first handed out in Oslo, Norway, in 2005. 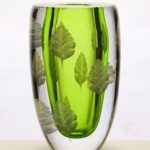 Hand made by the Norwegian glass artist Cathrine Maske, it symbolizes the growth and prosperity of African agriculture. 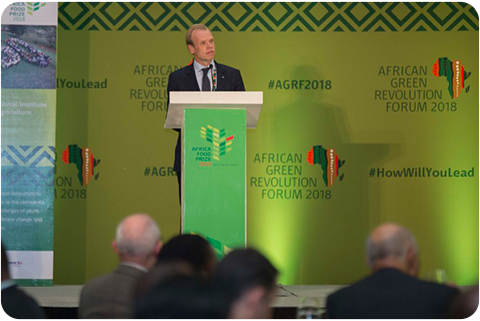 The green color is a clear reference to the African Green Revolution.